18/12/11 - 0900, 1210, 1430. Douglas Ferreira. 26/12/11 - 1030, 1230, 1450. Douglas Ferreira. 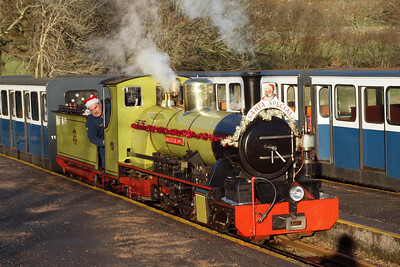 Douglas Ferreira sits in the back road at Dalegarth as Northern Rock arrives on the Santa train. 18/12/11. 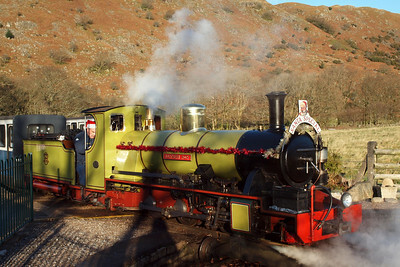 Northern Rock steams into Dalegarth station with the Santa Express. 18/12/11. 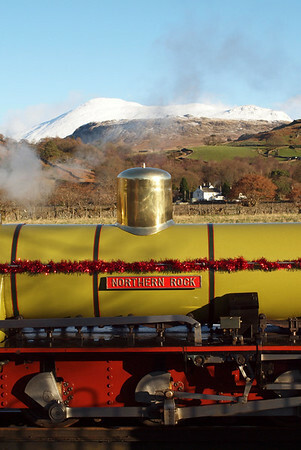 Northern Rock on Santa duties at Dalegarth. 18/12/11. 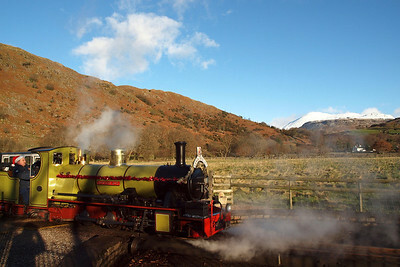 Northern Rock arrives at Dalegarth. 18/12/11. 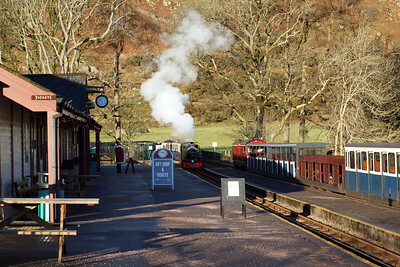 Northern Rock draws onto Dalegarth turntable. 18/12/11. 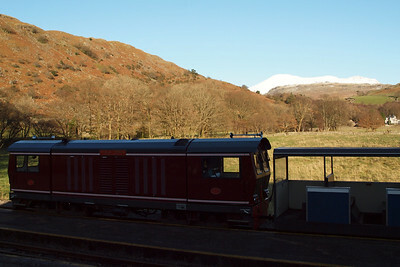 Northern Rock and Scafell at Dalegarth. 18/12/11. 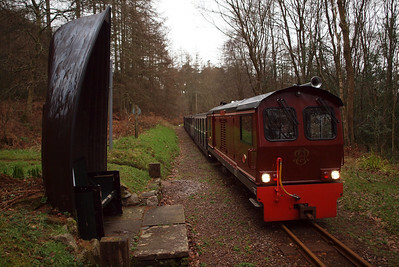 Northern Rock sits on Dalegarth turntable. 18/12/11. 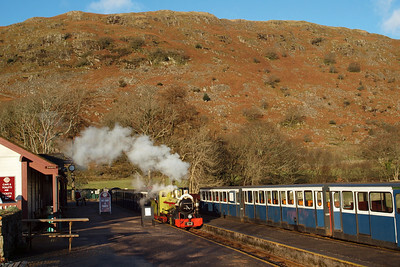 Douglas Ferreira in the shadows at Dalegarth. 18/12/11. 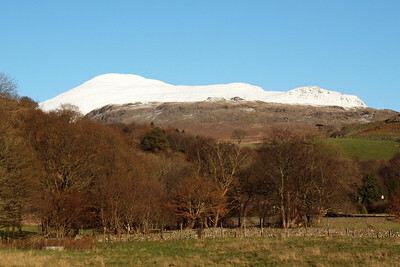 Douglas Ferreira with Harter Fell, covered in snow, on the skyline at Dalegarth. 18/12/11. 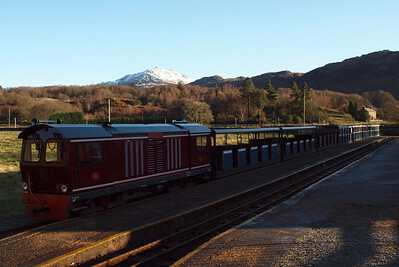 Douglas Ferreira pauses at Miteside Halt. 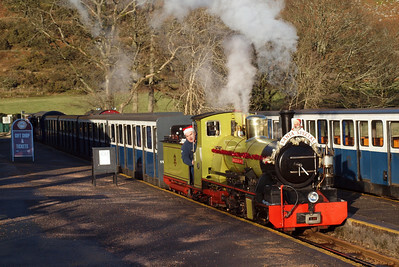 26/12/11. 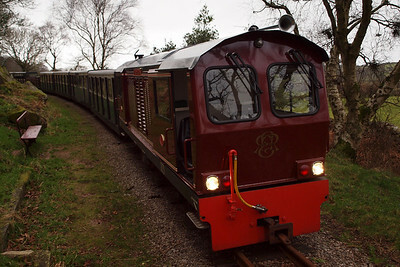 Douglas Ferreira on the curve at Murthwaite Halt. 26/12/11. 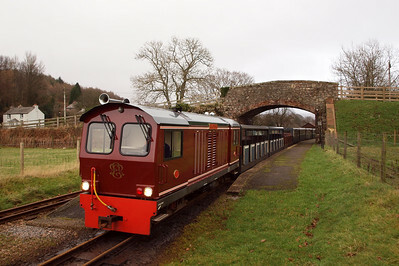 Douglas Ferreira waits at Irton Road. 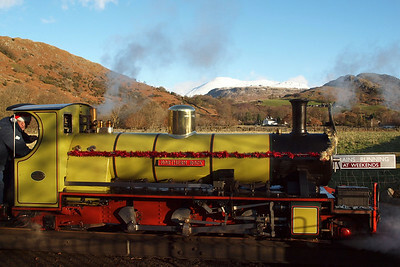 26/12/11. 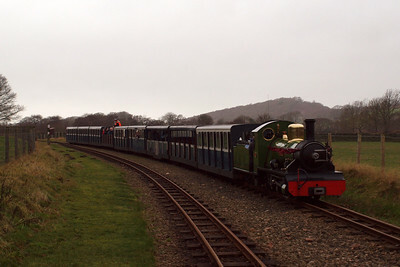 River Irt arrives at Irton Road with a nine-coach train. 26/12/11. 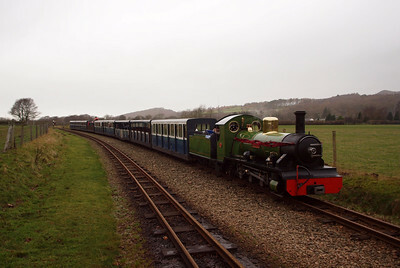 River Irt at Irton Road, on the 1130 to Dalegarth. 26/12/11. 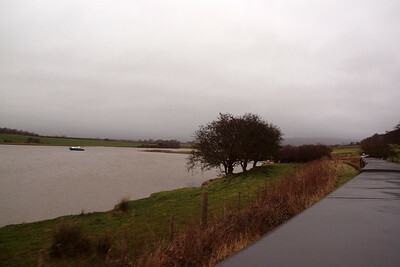 High tide on Barrow Marsh. 26/12/11. 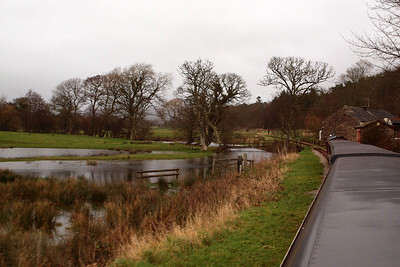 High water levels on Barrow Marsh. 26/12/11. 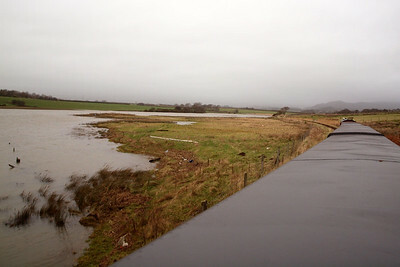 Water floods both sides of the railway embankment on Barrow Marsh. 26/12/11. 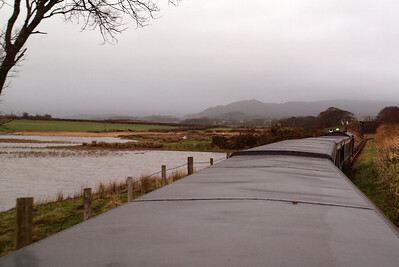 Flooded estuary of the River Mite as we head towards Black Bridge. 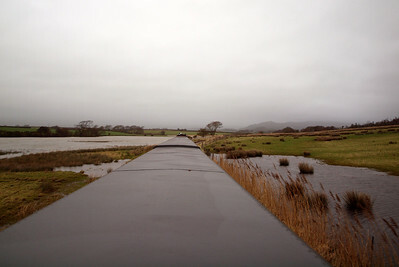 Irton Pike is on the horizon. 26/12/11.